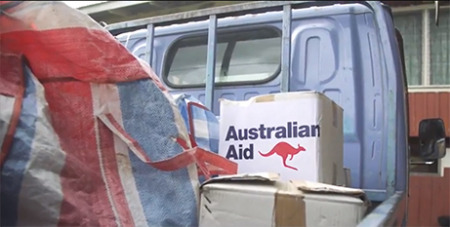 Caritas Australia chief Paul O’Callaghan says he is alarmed to hear that the Turnbull Government is considering cutting Australia’s foreign aid budget by up to 10 per cent. Caritas Australia said the potential cuts would significantly undermine our country’s efforts to help end extreme poverty, save lives, and support communities in times of major humanitarian disasters. Mr O’Callaghan said the government’s plans run in stark contrast to the compassion and generosity of the Australian people. “At Caritas Australia, we have just run our Easter Lenten appeal whereby thousands of people – mums, dads, grandparents and school children – raised millions of dollars for Project Compassion,” he said. “These are generous Australians from every walk of life showing leadership by donating their time, effort and money to stand in solidarity with the world’s poorest communities. One of the areas that the government is considering cutting aid funding is health. Mr O’Callaghan says; “this would end support for thousands of projects throughout the world that don’t just save lives but also enable new lives to be born. Caritas urged concerned Australians to contact their federals MPs.